Subaru Europe President Hiroyuki Ikeda announced at the 2006 Paris Motor Show that the upcoming horizontally opposed 4-cylinder turbodiesel engine by Subaru is almost complete, with development at final stages now. Subaru’s gasoline boxer won the top spot for the 2.5 litre category in this year’s International Engine of the Year Awards, and the new turbodiesel boxer will be the first oil burning boxer in the world. 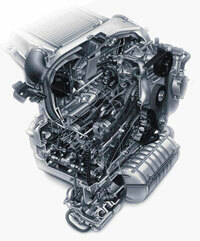 The new turbodiesel boxer engine by Subaru is expected to be unveiled at the 2007 Geneva Motor Show.